North Half of Lot 1, Concession 3, Township of Richardson, District of Rainy River, Ontario, 160 acres or 64.7 hectares. 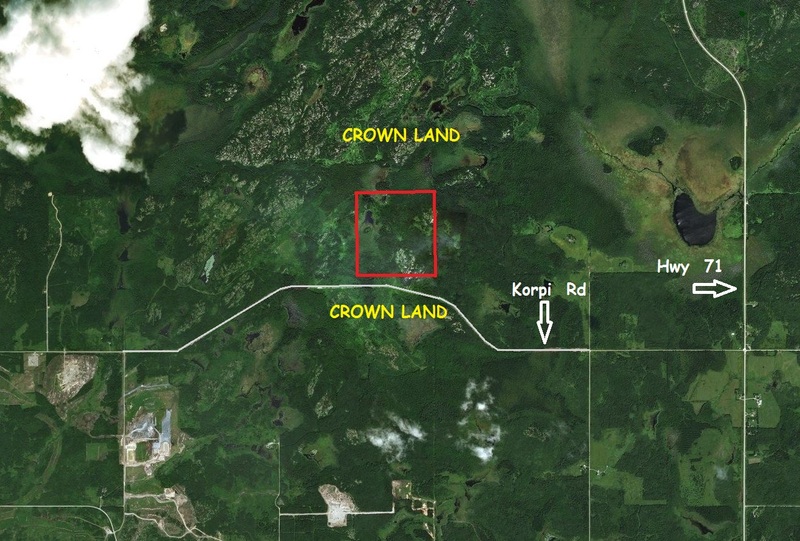 A true sportsman’s paradise, this large holding borders hundreds of thousands of acres of Crown land on its complete north and south boundaries for those who enjoy hunting, fishing and exploring. Square in shape, each side measures two thousand, six hundred and forty feet. 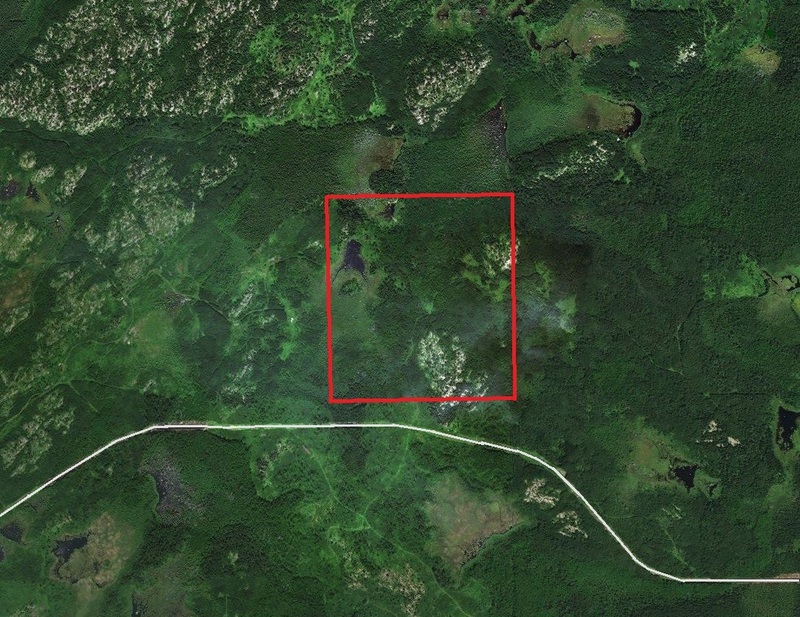 This parcel is a mix of trees and a few small clearings. With a slightly rolling terrain there are a couple of beaver ponds in the northwest quadrant and a high rocky area in the southeast – a perfect vantage point to watch for moose, deer, bear and other game that pass through the property. 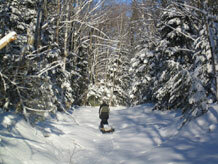 An old trail leads south from the property through Crown land to Korpi Road, four hundred feet south. This new, all season, public road connects the Rainy River Gold Mine, two miles west, to Trans-Canada Highway 71, two miles east, at the hamlet of Finland. With homes and small farms well-spaced, one is sure to enjoy the peaceful surroundings of this lightly settled region. Highway 71 leads to the town of Emo, eighteen miles south, which is located on the banks of the Rainy River. Larger town of Fort Frances is twenty miles further east and the town of Rainy River is thirty-five miles west. Price $39,990.00, payable $5,990.00 deposit with order and fifty monthly payments of $680.00 each, and interest; or $35,991.00 (being 10% off) if paid $5,992.00 deposit with order and $29,999.00 within thirty days thereafter.